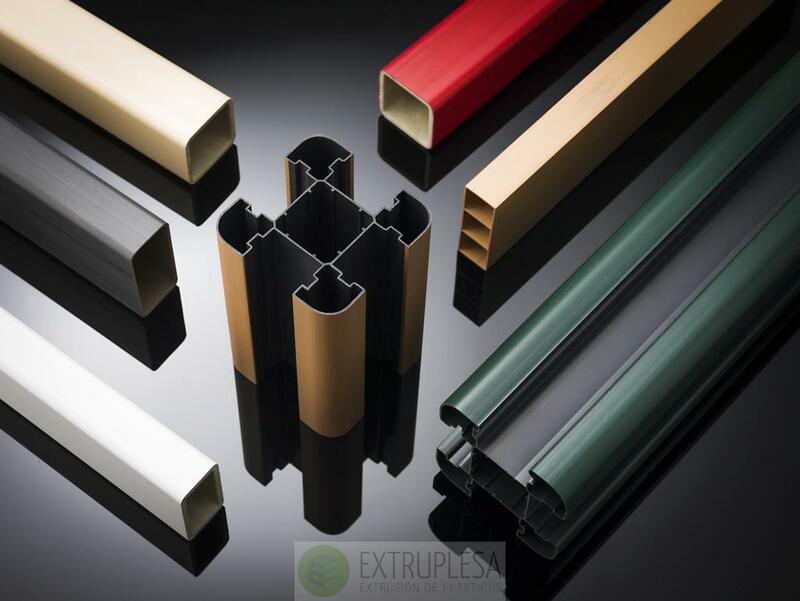 collaborate with the client searching solutions for the profiles extrusion in any type of plastic material and with any geometry. Within the services and means available to our technical office, we offer the clients, whatever the sector they come from, our closest collaboration in optimizing the design of new profiles. We give advise on the most suitable type of plastic according to the requirements of the product to be manufactured in every case. We are in permanent contact with petrochemicals in order to stay up to date of the new developments regarding the new developed materials. Once the final product design is defined, our quick prototyping service is able to create a physical part of any geometry starting from a plane or solid 3D drawn in CAD. This service allows us to obtain functional prototypes in a very short time, therefore we can make geometric checkings and detect possible functional failures in the profile before manufacturing the mold, thus saving time and, above all, money in possible tweaks of the molds. We know that the finishing touch and aesthetics are the best cover letter of the products we sell. The versatility offered by the thermoplastic transformation allows us to offer our clients different decoration options and finishes, so that we achieve the necessary aesthetics for every manufactured product. Every project is studied in detail until finding the best solution for every case while offering the best quality / price ratio. Painting: Through the painting process, the customer is able to select the exact RAL he needs for his final application, having the choice of working with metallic finishes. Sheet: The use of sheets produces a very visual result in the final product. 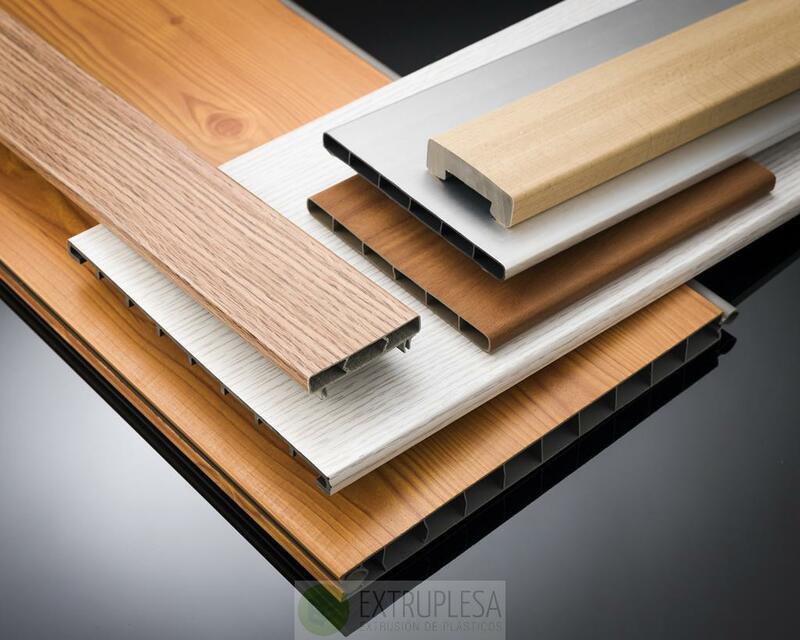 There is an infinite variety of finishes (wood, metal, smooth colors, prints, different textures and levels of brightness). Different qualities can be used, even guaranteeing its use outdoors for years. Coextrusion: Coextrusion allows us to combine different colors and / or hardness without turning to second operations. 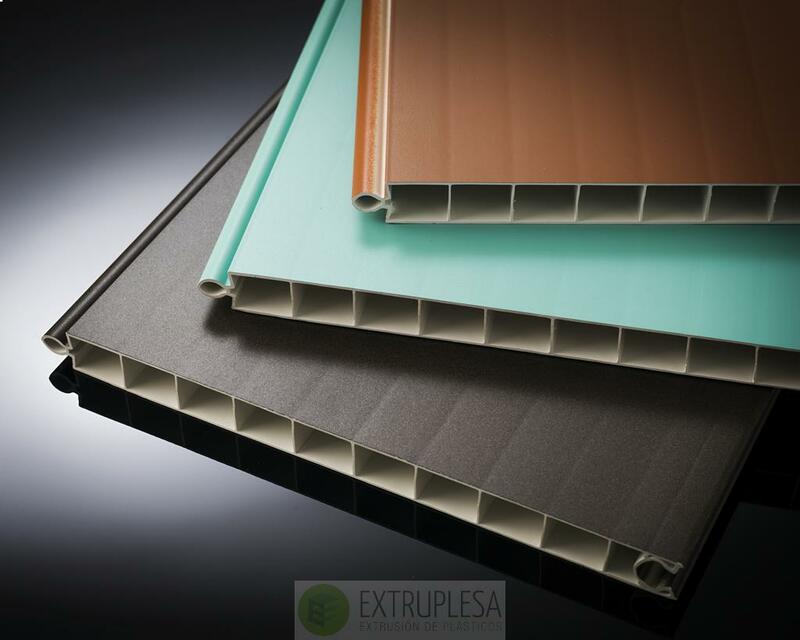 It is a technique that is also used to reduce the cost of the profiles since we are able to use a recovered material for the inner part of the profile and an unspoiled material for the visible part. Colored material: The entire RAL chart is available to our customers. We work with experts in coloring plastics to be able to offer solutions to any color need that is presented to us. Our total advisory service also includes design and optimization of extrusion equipment. Every new project is analyzed with our specialists, guaranteeing the best option when manufacturing the thread, calibrators, cooling baths, cutting system or any auxiliary equipment that may require the project. If necessary we can carry out benchmark studies of the profiles about UVA rays, fire performance, acoustic insulation, thermal insulation, impact resistance control, colorimetry, etc. either with our own resources or with the collaboration of several testing laboratories. 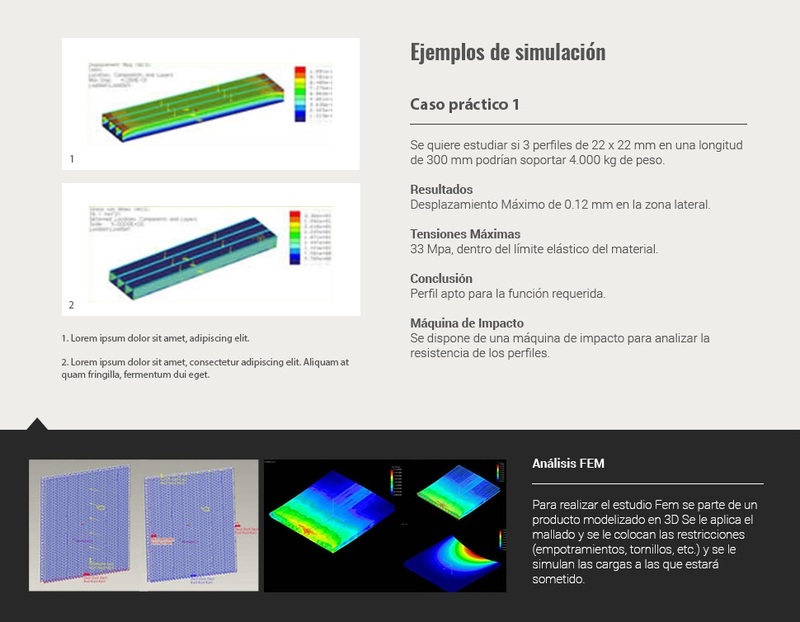 We can offer simulation studies and FEM analysis of the products, to guarantee their correct operation in real situations. These studies analyze the performance of materials in different situations, like when subjected to loads or tensions at different temperatures, and can predict the performance of plastics throughout their life (Creep studies). A Fem study is based on a modelized 3D product. The mesh is applied and the restrictions (embedding, screws, etc.) are placed, then, the loads to which it will be subjected are simulated. 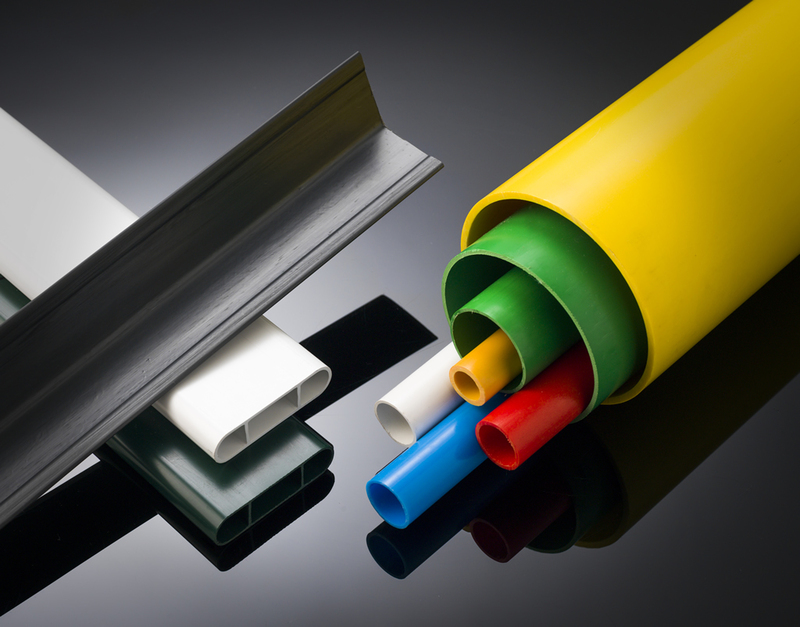 We have 10 main extrusion lines as well as 2 additional lines for coextrusion projects, enabling the combination of two materials with different hardnesses, colors and features. Our production system offers a wide range of second operations, being able to perform automatic stamping, drilling, cutting, etc. Our vast experience allows us to offer, at the same time, multiple packaging options for each type of product. We can offer different solutions: Metal cages, wooden boxes, cardboard boxes, winding profiles, heat-sealed bags, large size pallets etc. in order to deliver the products in the best possible conditions to their final destination.